Look at these items and consider how Unifuse LLC can make your “impossible” design possible with vibrational molding (VIM). We are #1 for custom plastic products because our unique process allows these shapes and so much more. 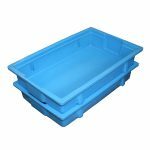 To achieve our superior strength and durability throughout the product’s life we mold plastic from only 100% virgin LLDPE from the world’s most respected supplier. 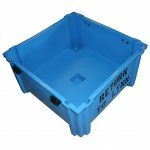 Since 1983 vibrational molding has been producing superior heavy-duty polyethylene bins, totes, carts, tubs, dollies, floor trucks, conveyable containers and trays as well as reusable returnable packaging. Whether the materials are wet, dry, powder, liquids or solids, Unifuse has the solution for you. It’s likely already available in our stock of over two thousand molds. If we don’t have the perfect solution already available, we will find or design and build it for you. 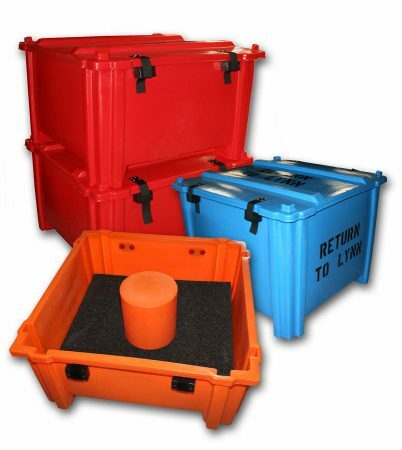 We mold only with FDA compliant resin and pigment, so all our plastic is safe and non-toxic. Vibrational molding enables us to be highly responsive, providing prototypes, modification and production with short lead times. The low cost of Unifuse tooling, the ability to modify “on-the-fly,” the promise that we’ll make the perfect solution and the durability of vibrationally molding parts makes a Unifuse custom product your best value. 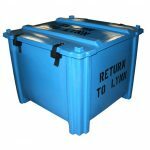 For decades Unifuse has been supplying the major OEMs such as GE Aviation, the Boeing Company, Pratt & Whitney, Sikorsky and Lockheed/Martin with custom containers and part protectors to handle, protect and store high value components, assemblies and machined parts. We have the experience and capabilities to design and produce almost any size and shape for virtually any application. Send us the specifications for your needs and we will design and mold the best, permanent solution for you.